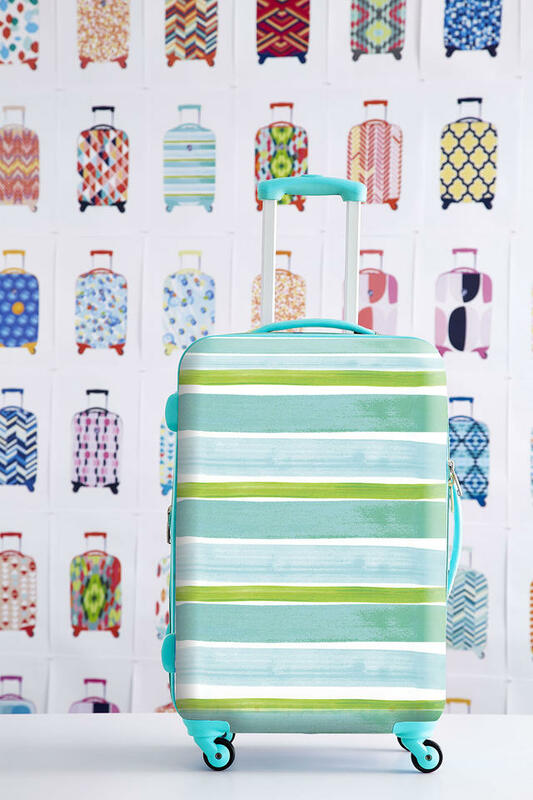 Summer travel is in full swing, and I don't know about you, but I love to stand out, not only on the baggage carousel amidst the sea of black bags, but I also love feeling fashionable when I travel with a bag that has some personality. 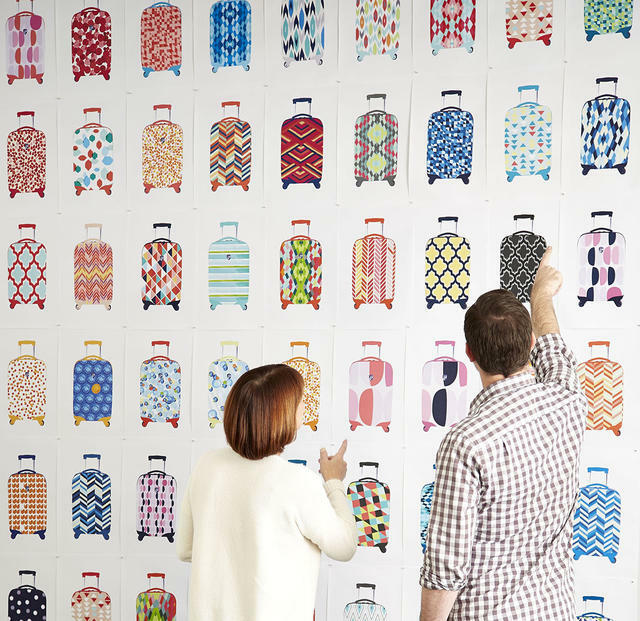 Each fall, in preparation for our annual Travel campaign, The Container Store's in-house designers begin working to come up with the perfect new patterns for our new line of exclusive travel products that debut in May during our Travel Sale (which just concluded). Our merchandising team gives the creative team direction, providing inspirational images. This year, they wanted a pattern that had a loose, hand-drawn, painterly feel that was still bold, fun and unique. This year the team came up 85 designs that were so scrumptious and a delight to review. They go through three rounds of narrowing down patterns and looking at different color options. The team works back and forth with the vendor to get the color and pattern to be just right before manufacturing. I don't know how they narrowed it down to two designs. I want one of each! 85 bags might be a little much though, huh? 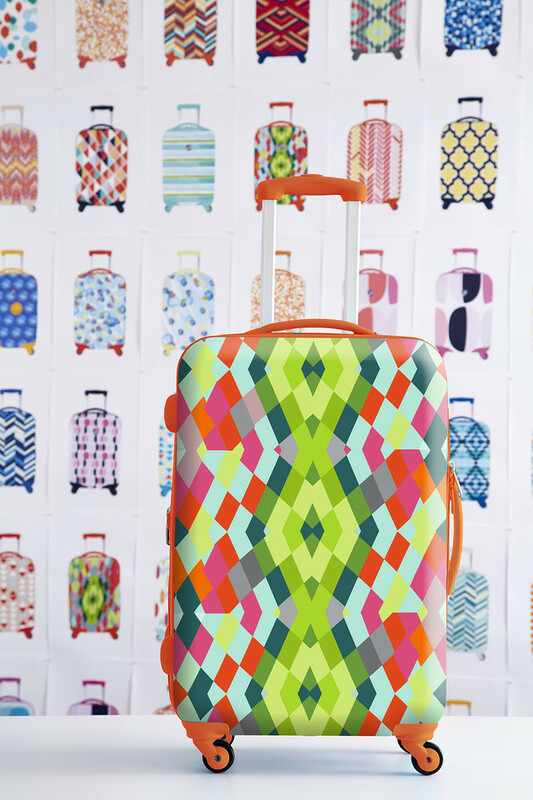 The two designs for the 2015 collection were just fabulous and available in two sizes (22" and 26") of hard-sided, wheeled luggage pieces. The multicolor design named Kaleidoscope reminds me of mosaics or even a bit of confetti (or of course looking into a Kaleidoscope). Just so eye-catching and fun. The stripe called Brush Strokes has a watercolor, brushstroke effect that immediately takes me to the beach and the ocean. Works of art you couldn't find anywhere else. Can't wait to see what they come up with next year! Spy any designs above that you love? Let us know! 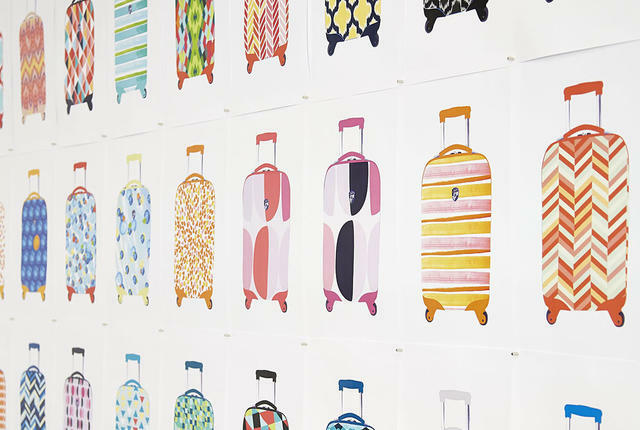 You may be the inspiration for future fabulous luggage designs.